Fans of iPhone will be impressed by the beautiful all-glass design on the new iPhone 8. With a superb 4.7 HD display and True Tone technology, the phone boasts excellent wireless charging so that you charge with ease. Capturing photos has never been better with an astonishing 12mp dual camera. Boasting the latest iOS 11 software, superb AR games and apps and a super fast CPU, the iPhone 8 will blow your mind. 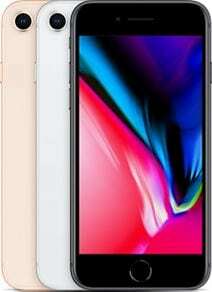 Get the iPhone 8 with NO Credit Check NOW!